Canadian Society for Asian Arts | Thank you for attending the Dr. Frances Wood Lecture: A Musical Journey Along the Silk Road! Thank you for attending the Dr. Frances Wood Lecture: A Musical Journey Along the Silk Road! 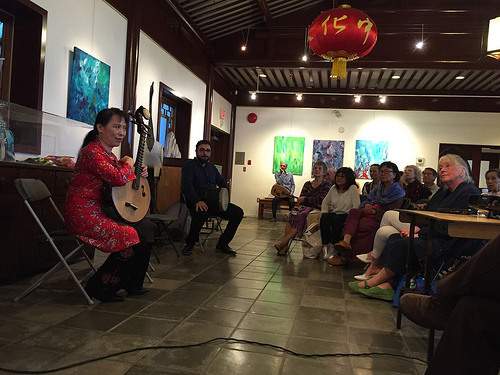 We had a wonderful turnout for the Dr. Frances Wood lecture and musical performance at the Dr. Sun Yat-Sen Chinese Classical Garden on Thursday, May 28. Thank you to Dr. Wood for her talk on Silk Road instruments and our performers Hamin Honari, Hossein Behroozinia, Zhimin Yu and Jirong Huang!